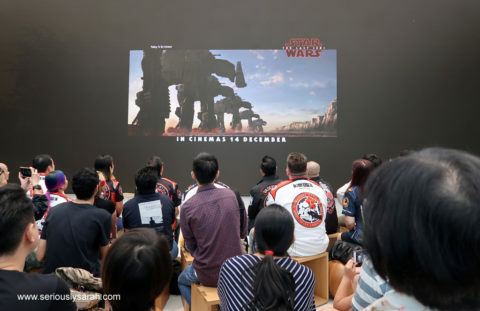 On 26 November 2017, Apple at Orchard Road (Apple Orchard, really…) hosted a special event called Perspectives with Kelly Marie Tran & Norman Tan! 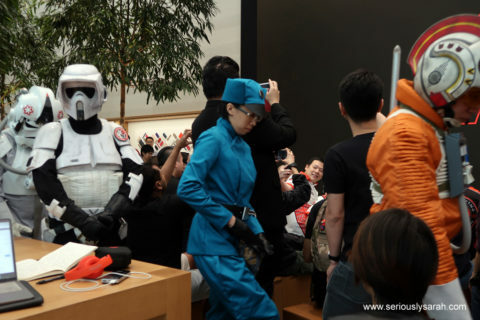 As readers of my blog would possibly know who Kelly is since a bunch of you guys are nerds like me, you would know her as Rose Tico from Star Wars in the upcoming The Last Jedi. Norman Tan is the moderator and he’s the Editor-in-Chief of Buro 24/7. He’s a really good moderator and the whole event was pretty smooth. It started a with a screening of the trailer (some people screamed No if you listened properly because I know they were trying to avoid seeing anything until the movie appeared) and a secret behind the scenes segment starring Kelly Marie Tran. Maybe it’ll be put in the main BTS of The Last Jedi but from what we saw, it was kind of touching also? To at least know how she ended up in the role. Trailer over, some of Singapore’s 501st marched in to stand to the side to welcome her. 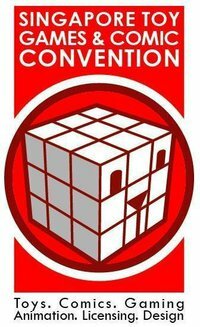 The Singapore Toys, Games, Comics Convention 2010 starts tomorrow! Hurray! They’ve got the line up and “who’s who” up at their website now including the name of the shops. However, I’d like to focus on SOME people who aren’t “special guest stars” but who make the convention fun. They range from the various shops, to the organizations and even media people! I got to talk or rather email some of the people below so heh, you guys will get to know more on them! There’s posties for May but I’ll actually post them when it’s May (duh). For now, what have I been doing? And a really work in progress preview trailer since people have been curious what we had been doing. Sheesh, people! Be patient! We didn’t even get the time to have the special effects composited and all yet! Effects will be overseen by 4Dpencil and yes, I know you’re probably going what the heck at the techno music. That’s not the real music for the final piece.